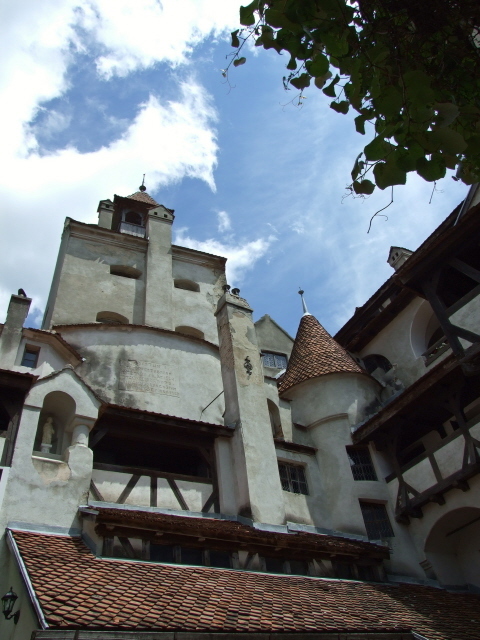 A picture-book hilltop castle in Transylvania, Romania, which is often touted by the Romanian tourism industry as "Dracula's castle", although the connection is, historically speaking, rather tenuous. And while it may look nicely vampiric from the outside, the inside, now a museum, is a bit too clean and polished to be really spooky (the crowds don't help matters either). 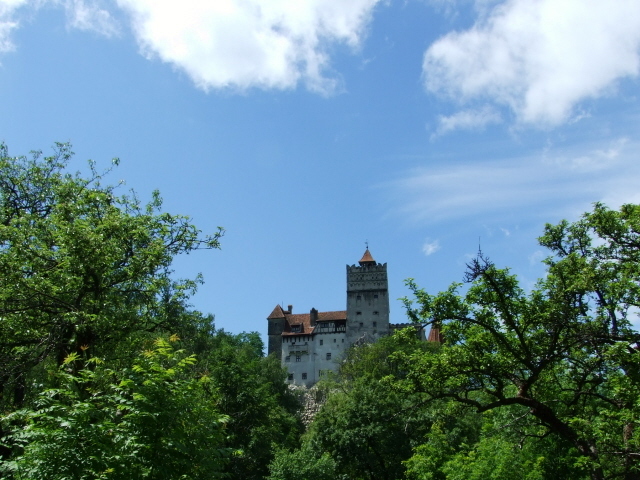 More background info: OK, it's not "really" Dracula's castle, and the Bran Castle museum of today makes this quite clear from the outset. The historical connection with the real figure that the Dracula myth is (very) loosely based on, Vlad Tepes ("Vlad the Impaler") is thin at best. He may have stayed at Bran for a few days (not even that is so certain, though), but it was definitely not "his" castle. However, the appearance of the place possibly inspired Bram Stoker, author of the novel "Dracula", even though he never visited the country himself (but he could have seen drawings/pictures). The castle's real history is much more mundane: it was built to protect the pass its location commands a view of, esp. against the Turks/Ottomans, but also simply as a customs point, i.e. for plain economic reasons: to charge duty from passing traders. 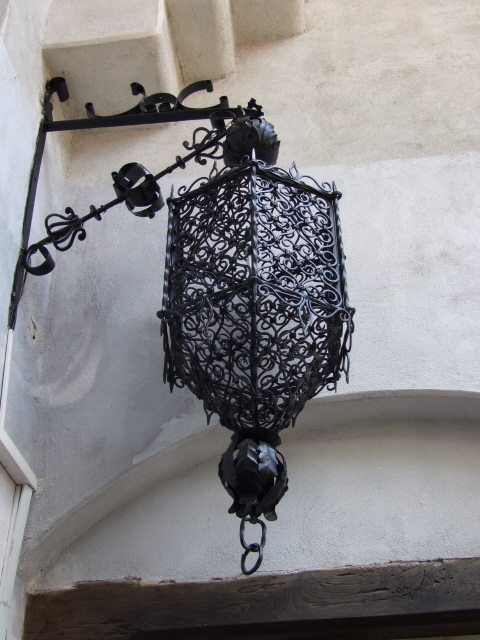 In the 20th century it was given to the Romanian Royal Family, who used it as a residence. With the forced abdication of Romanian Royalty at the onset of Romania's communist era, the property was taken over by the new rulers – and later turned into a museum in 1957. In 2006, it was given back to a Royal heir, namely Dominic von Habsburg. After that, the castle's future was uncertain for a while, esp. as the new (though still disputed) owner was for a while trying to sell it, but it's currently still run as a museum and it looks like it's going to stay that way. What there is to see: nothing but just a pretty picture-book castle, really. 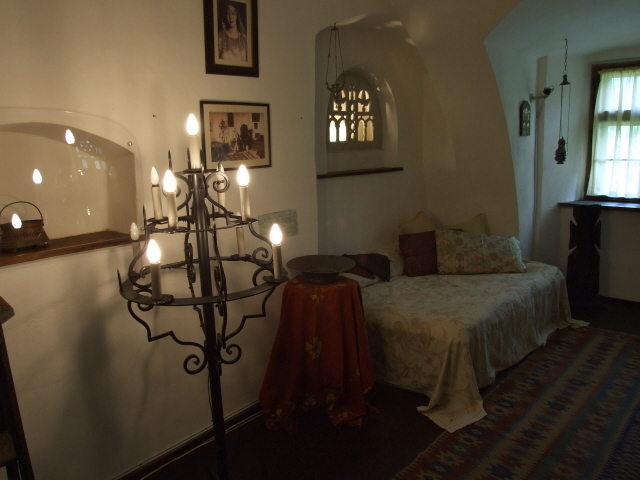 The place itself has nothing vampiric about it, in fact the interior of the castle with its neat furniture and whitewashed walls is anything but spooky … unless you count the short stretch of an allegedly "secret passage" leading to the second floor. 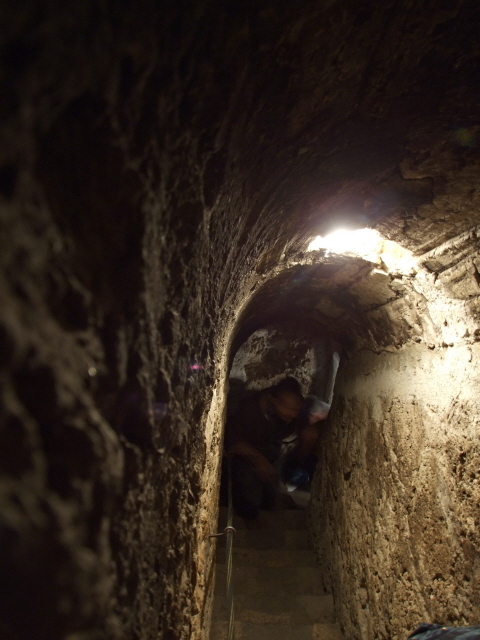 Only a few visitors suffering from severe claustrophobia can genuinely be scared by this, though. The museum's guides also make it quite clear that the castle's link with the Dracula myth is minuscule (if there's any at all), but still revel in stories about Vlad Tepes and his "hobby of impaling people". Past the ticket booth you have to ascend an uphill path, then some steps, before being let inside. A predetermined circuit then takes you through the various rooms, which are all rather small (like the whole castle – no massive gothic staircases so familiar from Dracula films here!). Some text panels provide historical information in Romanian and English – the translations are largely OK. There's a small shop at the end of the circuit selling some books about the castle and the history it's connected with (either for real or through the Dracula myth). Back outside the castle's premises beyond the ticket booth, you can't fail to notice the myriads of souvenir stands, all more or less selling the same stuff (although I found those Vlad Tepes fridge magnets only at a single stand and none of the others … strangely enough), much of it is playing the vampire card, obviously, including T-shirts with prints of smileys with blood-dripping fangs, and other such jokey attempts. It's worth a look around, if just for a laugh. The same is equally true for the house of horrors show offered in a wooden building at the one side of the tourist complex. The bar above it is decorated in Dracula style too. 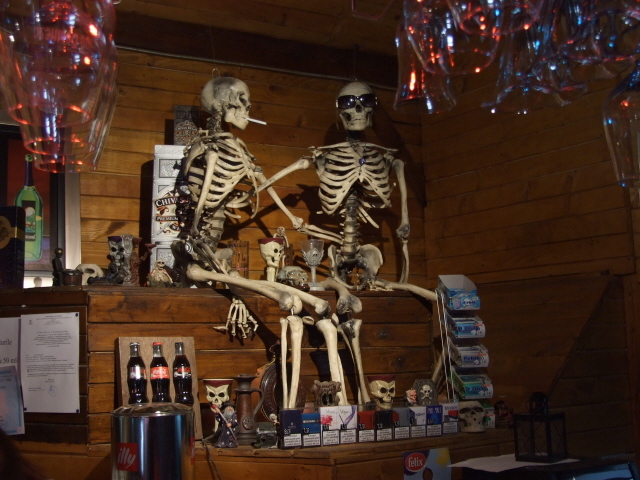 Both the tables and the benches are coffin-shaped and black and red, some with painted (headless) skeletons on … but the most vampiric of the fare offered here would be red wine (for a more extensive culinary experience on the theme go to Bucharest's Count Dracula Club). 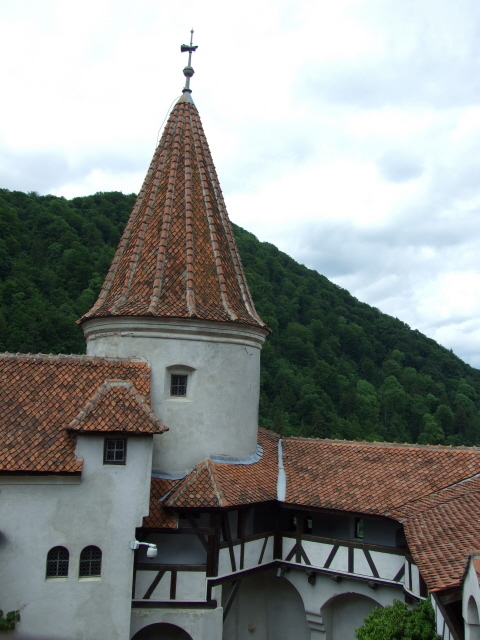 Location: about 18 miles (less than 30 km) west of the town of Brasov, itself about 100 miles (ca. 160 km) north of Bucharest, Romania. Access and costs: easy to reach from Brasov, lengthier and more tricky from Bucharest; not too costly. 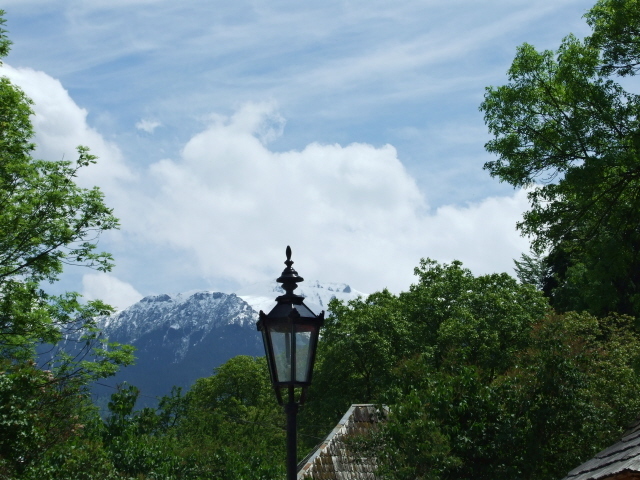 Details: to get to the castle is comparatively easy from the nearby town of Brasov (which also offers plenty of options for accommodation), from where regional buses to Bran depart half-hourly. Bran can also be visited as day trip from Bucharest, either by driving a hire car (if you dare) or by hiring a car with driver (prices negotiable – I paid 420 Lei/100 EUR, but that was arranged through a friend of a friend's family, so it may have been a favourable price, but it could serve as a starting point). There are of course also organized trips – most tours of this part of Romania seem to include Bran and for that reason it can get very crowded indeed. Admission costs: 25 Lei for adults, 10 for students, 15 for senior citizens. Time required: the tour of the castle's interior itself takes only about 35-45 minutes. Things get slowed down when several tour groups are squeezed through at the same time. The duration of your visit also depends on whether you want to read all the (mostly totally non-dark) historical information provided on text panels (I gave up after a short while). 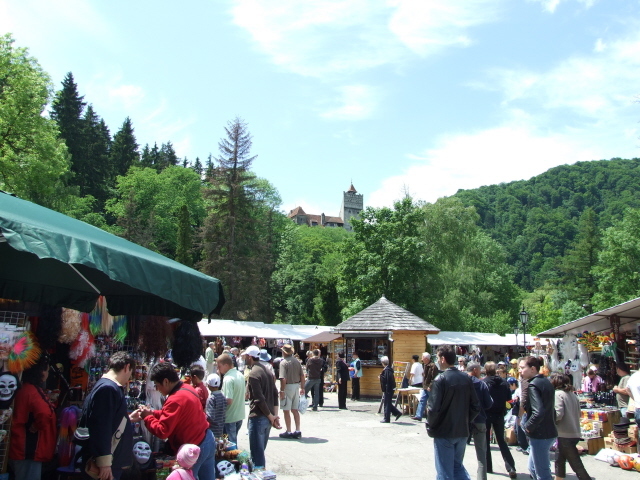 You can also browse the countless souvenir stands outside the castle and other touristic offers, which can add a bit more to the overall visiting time. From Brasov, the excursion to Bran takes at best a half day in total (many combine it with a visit to nearby Rasnov's citadel, which is much less touristy and more medieval in feel). When doing it as an individual traveller's day trip from Bucharest you have to factor in significantly more driving time: from central Bucharest it takes between two and three hours (depending – very much – on traffic) each way. 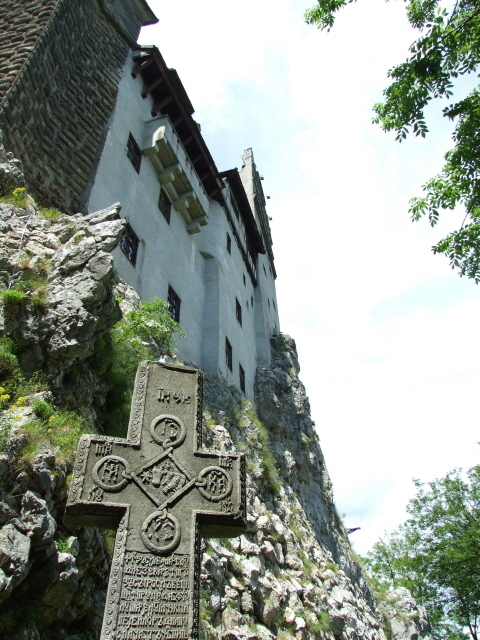 Combinations with other dark destinations: see Romania/Bucharest – purist Dracula buffs will be quick and keen to point out that Bran castle is NOT the "real" Castle Dracula, but that Poienari Citadel is, which lies in the Arges valley much further to the west (and in Wallachia, not Transylvania). The link to the historic figure of Vlad Tepes maybe more real there, but there's much less to see, and when considering a trip there, also take into account those nearly 1500 steps you'd have to climb to get to the cliff-top citadel and ask yourself whether you deem it worth it. 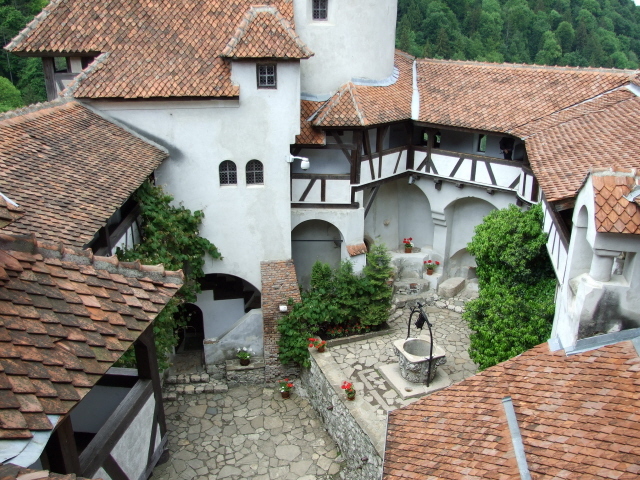 Combinations with non-dark destinations: Bran lies in the southern part of the Carpathian Mountains (Transylvanian Alps), and there's plenty of great scenery around to warrant a longer stay in the area. More castles and quaint towns add to the attraction of this, the most touristically developed part of Romania. You can even go skiing, but hiking is the premier tourist activity in these parts.